Beware! London E-Management is an offshore broker! Your investment may be at risk. London E-Management is a binary options brokerage based in the UK. 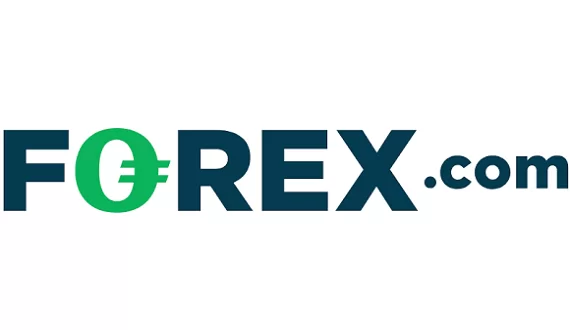 Potential clients have at their disposal a MT4 platform and a number of crypto-currency pairs. The maximum payout it 80 per cent which is significantly below the industry average. 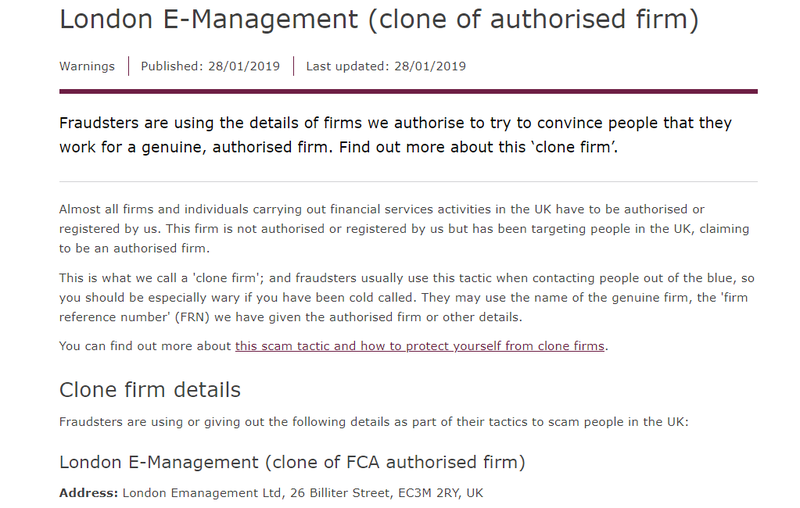 We read on the official warning issued by the British financial watchdog that the Forex brokerage London E-Management is actually a clone firm of a legitimate company that falls under the regulatory oversight of the FCA and is registered in the UK with the name London and Capital Asset Management Limited and an address: Two Fitzroy Place, 8 Mortimer Street, London, W1T 3JJ, UK. Scammers often act in this manner by using a bit of corporate information mimicking an authorized firm in order to lend themselves legitimacy. Nonetheless, on the website of the brokerage we did find some information, if only little, about its actual offer to traders. Presumably potential clients are provided with the MetaTrader 4 trading platform and a web-based trading platform. The MetaTrader 4 is the foremost trading terminal at the moment and the option of a web-terminal as well is usually considered an advantage. However, we were not able to download the platform and through a demo account get acquainted with the trading conditions of the brokerage. Having in mind the warning of the FCA we can safely conclude that the brokerage does not in fact provide the trading platform. All in all, we recommend traders stay clear of London E-Management. 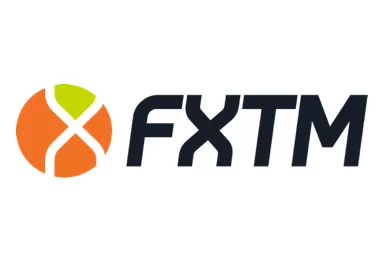 Furthermore, we urge traders to minimize the risk in trading by taking up on their offers only brokers regulated by prestigious agencies, such as the UK’s FCA and CySec, require compliance with a number of strict rules that give significant assurance for the security of the clients funds. London E-Management does not explicitly specify any withdrawal fees, however, leaves for itself an open door in the terms and conditions which could theoretically allow to incur any fees it may wish. We always remind traders to take notice about the many safety-checks they may try with the brokerage, instead of trusting it at face-value. Firstly, they must always invest only the required minimum deposit, so that there is certainty about the legitimacy of the brokerage, before risking a bigger amount. Afterwards, they may also try to withdraw a small amount in order to check for any unexpected fees or delays. If they do – traders may rest assured that they’re dealing with a scammer.